First, let’s listen to “Fragments of Sorrow”. This is an absolutely beautiful track, packed with emotion and lusciously orchestrated modulations. “Fragments of Sorrow” has a wonderful instrumentation, including low and high strings, a few solo wind instruments (oboe, clarinet), and timpani (among other percussion accents). Let’s now talk about vocal range types. Typically in a large choir you will have four separate voice types, two female and two male: SATB. S stands for soprano, A stands for alto, T stands for tenor, and B stands for bass. Soprano is the higher female voice, alto is the lower one, tenor is the higher male voice, and bass is the lowest. I would say that the alto and tenor are the most interesting voice types, just because they are atypical of each gender. I feel that most women are assumed to have a high-pitched voice, and conversely, males are assumed to have low-pitched voices. I personally tend to prefer lower-pitched female voices, though that is most certainly not to say that I never like any high-pitched female voices. Something interesting in pop music these days—and actually rather odd—is that higher-pitched male singing voices tend to be more popular than lower-pitched ones. This is different in rap music, where male rappers that have very deep voices tend to be more popular. But when you think of pop music these days, male singers with higher-pitched voices are usually more in the spotlight. I think this is a shame, since there are so many deep voices that deserve to be showcased that are not given the chance. What’s also worth mentioning is that when males do have lower-pitched voices, they are often only spotlighted for comical effect, which is a little upsetting… It’s not that I do not enjoy higher-pitched male voices; it is simply the lack of representation of lower-pitched male voices makes me a little sad. I suppose you could say that about any sort of talent though. Hi, Heather here! When I read what you said in the party chat I had to come and see what you wrote if you did “Fragments of Sorrow” because I always turn the volume up for spiders because of it. This is so cool what you’ve done. I feel like a lot of people appreciate video game music, but very rarely mobile game music. It’s great that you did this for khux since it’s already an established franchise that borrows music from the console games, but also has its own. Keep it up!! Hey Heather! ^_^ I was hoping someone would check it out haha thank you for the comment! Yeah, I thought the exact same thing, that mobile game music doesn’t have much love (yet! 😀 ). Thanks for the encouragement! Have you played any of the Final Fantasy mobile games? I’ve played a little mobius, but it’s been awhile. Maybe you can look into that? Or maybe even Pokemon Shuffle or something. 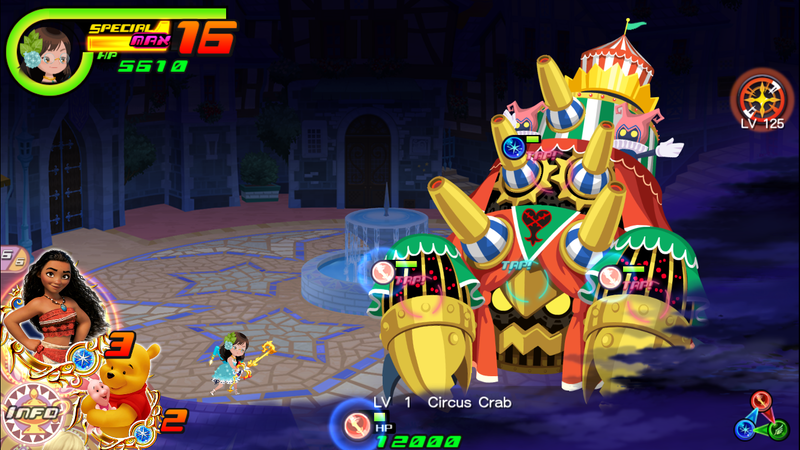 It’s been awhile since played anything other than khux though.